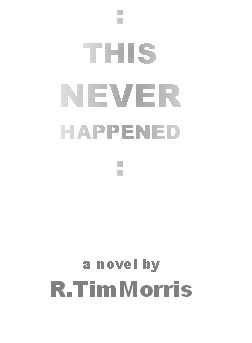 Just a quick update on the progress of my third novel, still tentatively called “THIS NEVER HAPPENED.” Things are coming along great! I’m still mostly working in the outlining stage, with roughly four chapters fully written. I’ve had a few major plot points that were tying my story together, but they weren’t really tying each other together (if that makes sense) until a few days ago. Sometimes a bunch of great ideas don’t really work unless they’re playing off one another, which is what’s finally happening with my novel. The characters are also all starting to play off one another nicely, with interestingly unexpected connections being made as well, which always helps a novel’s progression. Basically, I’m liking it! And I’m excited about opening up my Google Doc every day. So there you go. Hopefully I can share another few pages one of these days. This entry was posted in This Never Happened and tagged Creative Writing, This Never Happened. Bookmark the permalink.